Arrive in Argentina at Ezeiza Airport, Buenos Aires and transfer to the 4 Star Hotel Pestana. In the afternoon you will go on a sightseeing tour of the city. 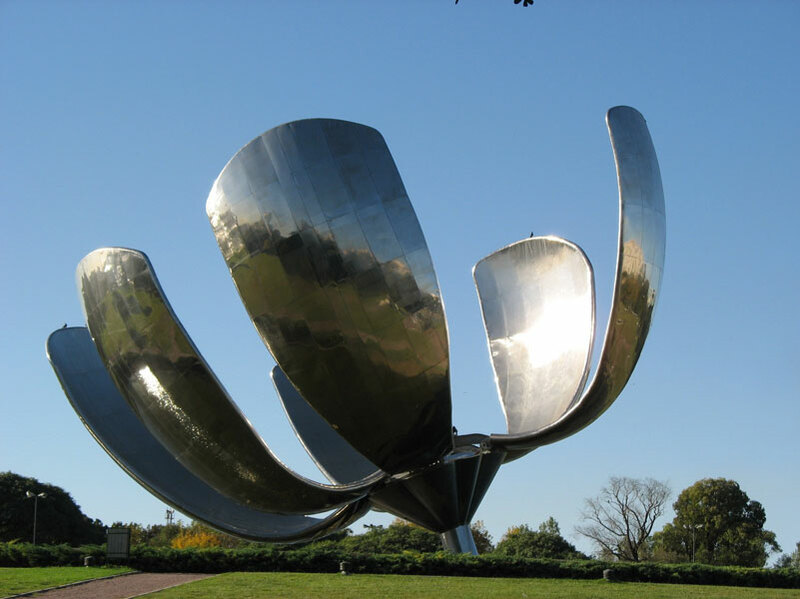 A free day in Buenos Aires for you to explore whatever you fancy in this beautiful city. Overnight stay at Hotel Pestana. After breakfast you will be picked up and taken to Jorge Newbery Airport for your flight to Mendoza. Upon arrival you will be transferred to your boutique hotel, Hotel Villagio. Here you will have your equipment checked and be issued with Provincial Park permits. In the morning, transfer to Aconcagua Provincial Park (2850m) and spend the afternoon trekking through the Horcones Valley to Confluencia (3300m). Camp here overnight. Spend a full day trekking from Confluencia to Plaza Francia (4100m) which is the base camp for the South Face of Aconcagua. Return to Confluencia after a second overnight camp. Trek back from Confluencia through the Horcones Valley and head back to Mendoza (700m) for another night's stay at Hotel Villaggio. Visit the local family Zuccardi winery and vineyards. The day will include free tasting samples and a delicious meal at lunchtime. Stay overnight at Hotel Villaggio. 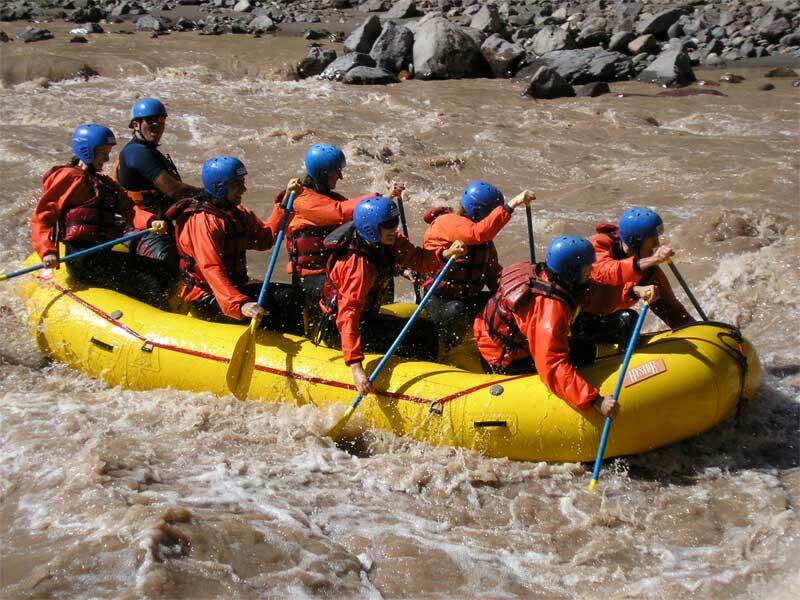 An active day which features some white water rafting on the Mendoza River and some high wire canopy crossings. Free lunch and overnight stay at Hotel Villaggio. Receive your own private wine tour at the glorious Valle de Uco, one of the most fertile valleys in the area. You will see plenty of picturesque scenery and some exotic wildlife. Overnight stay in Hotel Villaggio. 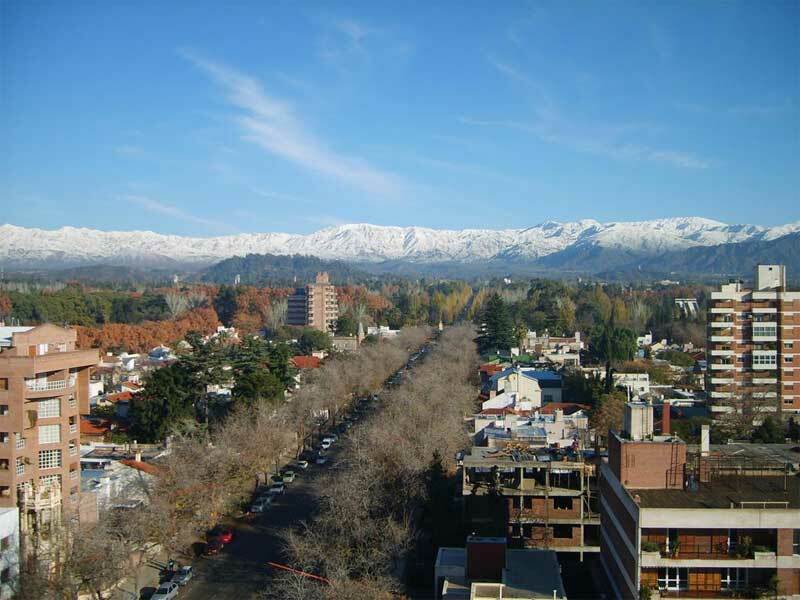 The morning is left free for you to choose what you would like to do before leaving Mendoza. In the afternoon, transfer to the airport for your flight to Buenos Aires and head back to Hotel Pestana for your final night in Argentina. In the evening, enjoy some exciting entertainment in the form of a dinner & authentic tango dance show. 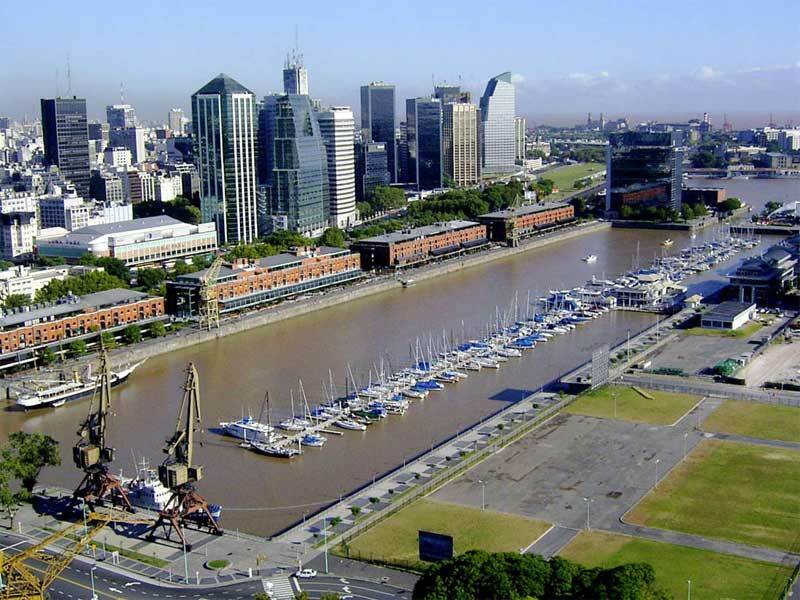 Depart hotel after breakfast and transfer to Ezeiza Airport for your flight back to the UK. 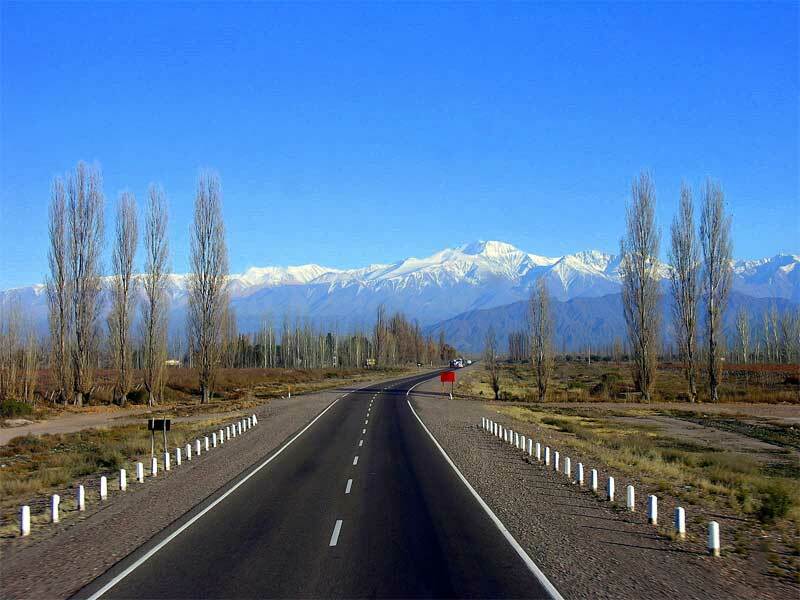 The Aconcagua Provincial Park is located 180km west of the city of Mendoza. It was declared a reserve in 1983 and is one of the eleven protected areas of Mendoza's province. With about 71,000 hectares it protects an important part of the Central Andes, including the impressive Mount Aconcagua which rises 6962m above sea level. 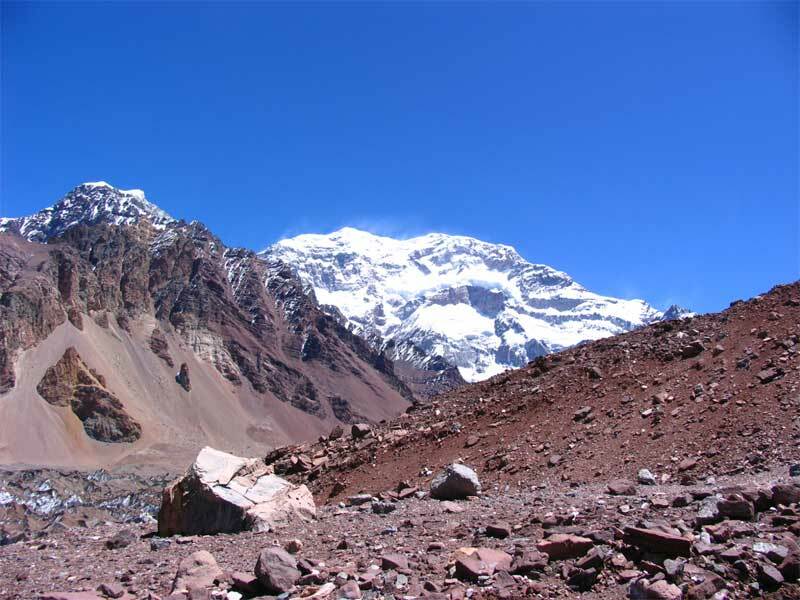 The Aconcagua Provincial Park is also an important place due to the glaciers, water resources and archaeological sites contained within its territory. During this 3 day excursion you will trek to an altitude of 4200m enjoying breathtaking views of the Andes and its rugged but majestic landscape with superlative panoramas of Aconcagua and its South Face (Level of difficulty: Moderate). Argentina offers some wonderful white water rafting opportunities, ranging from grade II through to IV, offering exciting rides through magnificent scenery. For those who love water based adventure, Argentina is a prime destination as there is lots of choice. The most popular routes are on the turbulent Rio Mendoza which cuts through deep mountain gorges; and also on the Rio Manso through the southern part of the Nahuel Huapi National Park together with the Hua Hum river. Rio Mendoza (class III and IV) is a river in the province of Mendoza and was where the Rafting Association of Argentina hosted the 2008 Pan-American Rafting Championships. The upper valley of the Rio Mendoza begins at about 2600m above sea level and is U-shaped which was carved out by glaciers many years ago. The muddy coloured water is a result of the glacial run-off that starts upstream in the Andes Mountains. Once decanted in the Potrerillos Reservoir, the water becomes a turquoise glacier blue and ambient temperatures in late November are dry and warm between 25°C to 28°C during the day and 15°C at night with water temperature around 8°C. The river crosses the Andean Patagonian forests and the Valdivian rainforest before flowing through four lakes, crossing the border to Chile and joining Puelo river before finally draining into the Pacific Ocean. Our rafting trip is on class III+ water and begins upstream of the Potrerillos Dam and Reservoir. The continual rapids provide constant action throughout our descent; high summer flows, chalk-full of sediment, bring huge holes and haystacks and low winter flows run clear producing a natural slalom course of exposed rocks. The trips are run by expert river guides with international experience and Swift Water Rescue Certificates. Safety kayakers will join your group for additional support. All paddlers will be equipped with life jackets, wetsuits, splash trousers and tops, river boots and a helmet. We use high quality self-bailing Hyside Hypalon 14 foot long boats and our river equipment is impeccably maintained and regularly renewed. So rest assured you will be in safe hands as you enjoy an adrenaline-packed trip! Argentinians call this 'canopying' and it involves being securely suspended on a zip wire high above the valley floor. This is an increasingly popular extreme sport in Argentina but it is completely safe as you'll be wearing a harness and attached to a super-strong steel cable. There are numerous cable routes in place and some of them are as high as 40 metres off the ground! The cables also vary in length but the longest extends over 450 metres! If that isn't enough of an adrenaline rush, it also zips you across the gushing Mendoza river. Experienced outdoor instructors will lead you safely through your canopying session which will see you take in up to 1500 metres of zip line. If you haven't already pictured the scene from such a height, the views are spectacular, with the lush green forest expanding out in front of you and the towering Andes mountain range rising up in the distance. The most prominent mountain you will see from the zip wire location in the picturesque Potrerillos Valley is the 6100m high El Plata Mountain. If the heights sound like too much for you to enjoy then we also have a lower level zip circuit known as the Base Tour. Most clients prefer to throw themselves in head first, however, and love the experience that the Adrenaline Circuit gives them! Each tour has been carefully designed, engineered and inspected to maximise the effects of the zip line thrill ride. Note: In the interests of safety there are some age, weight and fitness restrictions in place for this activity. The wine industry in Argentina has grown significantly over the last five years and its production standard has reached fifth in the world, with exports growing steadily, particularly to the United States. The wines of Argentina are produced in many regions, spanning over 2000km; however, Mendoza is the most popular and is the biggest in terms of production. Responsible for 70% of Argentina's wine production, Mendoza rests alongside the Andes, where irrigation from the mountains and high altitudes are favourable for wine growth and the vineyards are shielded from harsh temperatures. In Mendoza, a variety of grapes are produced. A large number of hectares are usually dedicated to the Malbec and Cabernet Sauvignon. However, because of Mendoza's size and climate, most vineyards also have success in producing Chardonnay, Sauvignon Blanc and Syrah. Situated some 600 miles west of Buenos Aires, Mendoza province is home to more than 800 wineries, about 100 of which actively receive tourists. And as Argentine wine exports continue to grow by 25 percent a year, this 57,000-square-mile area is drawing not only more tourists, but also vintners, who see in Mendoza the same charm and potential that propelled more established wine regions decades ago. “Mendoza is Napa Valley 30 or 40 years ago,” according to Michael Evans, a former Democratic campaign strategist from Washington D.C., who moved to Mendoza six years ago to go into the wine business. Mendoza and wine have been intricately intertwined since the 1550s, when Spanish settlers brought vineyard cuttings from Chile’s Central Valley to what are now the provinces of Mendoza and San Juan. Just a few years later a provincial governor, Domingo Faustino Sarmiento, instructed a French agronomist to bring grapevine cuttings from France. Argentina can thank him for its original Malbec’s, the robust red wines that are such perfect accompaniments to the country’s beef-heavy diet and which have become synonymous with its wine exports in the past decade. New winemaking expertise arrived in the 1800s with the first wave of European immigrants, many escaping epidemics that had ravaged vineyards in their homelands. Over the last 200 years Mendoza developed into a centre for winemaking and olive oil production, with its wine gaining fame in the early 1900s when winemakers began exporting it during the country’s economic boom. But when the country fell on harder economic times, foreign investment dried up and so did the quality of Argentine wine. However, things began to turn around in the 1990s, when the winemaker Nicolás Catena, scion of the Catena Zapata winery, pioneered the modern Malbec by planting vines at different altitudes, up to almost 5000 feet above sea level, and took advantage of microclimates that allow for more varied blends. Although today the Mendoza wineries brim with state-of-the-art technology and its visitor centres rival any in Napa Valley, it remains a region where the slow pace and rustic backdrop recall an earlier age. With a population of 110,000, Mendoza remains very much an old-world experience. It has wonderful restaurants along with places to stay that range from boutique hotels to classy chains like the Park Hyatt and the Sheraton. Outside the city, many wineries also have inns on the premises, offering everything from simple rooms to luxurious hideaways with access to horse riding and golf. The Familia Zuccardi Vineyard is in the forefront of the Argentinian wine revolution, producing well-made wines that appeal to the international market. The winery is located in the province of Mendoza situated 85km east of Mendoza City in the foothills of the Andes some 650m above sea level. The area possesses excellent conditions for the production of high quality fruit. Almost desert like, there are around 350 sunny days a year, with an average of 16°C temperature fluctuation between day and night during the growing season, pure air and clear light. Irrigation using fresh, clean water from the Andes is carefully controlled. This is a day to relax and savour some of the best Argentinian wines produced in a stunning location with lunch served on the premises in the winery’s own restaurant. This new and exciting valley is a ninety minute drive from Mendoza City, where excellent grapes, walnuts and a variety of fruits grow in abundance. A totally different climate and the varying elevations of this valley provide winemakers with some unique soil and growing conditions which give fantastic results and produce some of the best wines in South America. Many of the oldest, together with the most modern and progressive wineries based up in the Lújan and Maipú regions have also planted vineyards in this valley, simply because of the quality of its grapes. Uco Valley has both altitude and attitude and provides one of the most interesting and stunning locations to enjoy a wine tour around Mendoza. Situated in the foothills of the Andes, this new frontier in Argentine winemaking is attracting winemakers from all over the world and with brand new technology and gold medal ‘terroir’, the wine from this area is undoubtedly the future of Argentine wine. 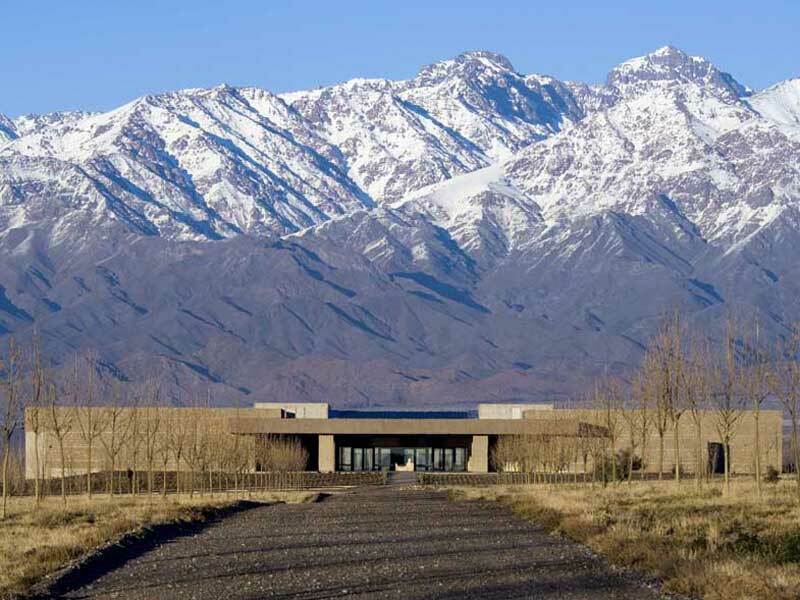 Depart Mendoza and drive 45 minutes to Pulenta Estate, located in Alto Agrelo on the road into the valley. This winery is small, modern and stylish with a minimalist tasting room where we try some of Mendoza’s finest Pinot Gris, Cabernet Franc and Malbec. We continue into the valley and arrive at Bodega La Azul, a small winery making rich Malbec and Merlot. Here the tour includes an excellent explanation of the process from the actual winemaker followed by an informal tasting of this small production wine. We conclude the day with a visit to Bodega Salentein, an ultra modern winery with an impressive, temple-like barrel room and modern art gallery. Here you will have a private tasting of their excellent Sauvignon Blanc, Malbec and Pinot Noir whilst enjoying a four-course lunch with incredible views of the mountains before our return to Mendoza at approx 5.30pm. Our private tour will provide a relaxing finale to your trip after the previous day’s adventures on the Rio Mendoza and offers a complimentary perspective of the Argentinian wine scene together with our excursion to the Familia Zuccardi Winery. The Merlot is particularly notable for its remarkable quality. 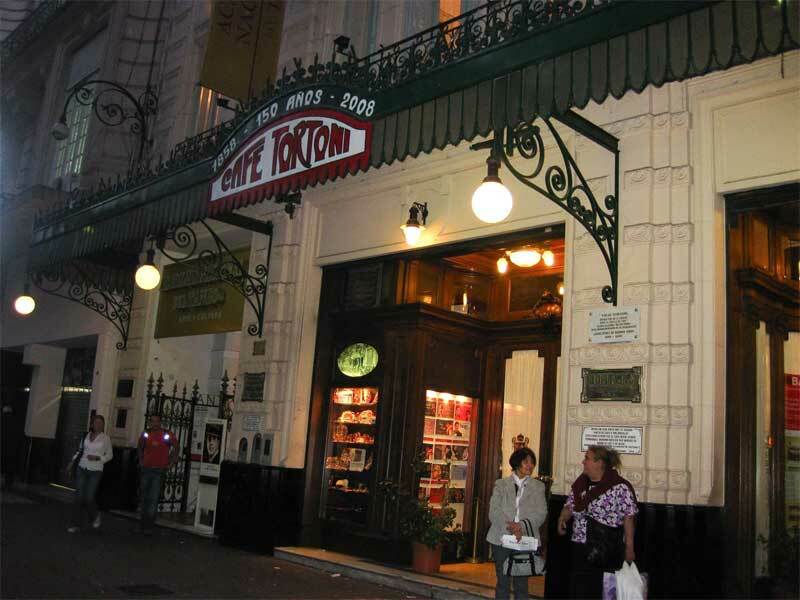 Buenos Aires is full of tango houses with live orchestras and dancers. The most important places that offer live shows usually include dinner (with options in Argentine beef or international menus). The nightlife of this fantastic city is world-renowned but nothing is quite as magical as a real Tango Show. Tango gains more and more fans globally everyday. Welcome to the tango capital of the world! In Buenos Aires, tango is born, played, sung, danced, made. In the lyrics and music you'll feel the passion, sensuality and the drama, be it happiness or melancholy that is the undercurrent of Argentinian life. Tango is part of the heart and soul of this city and you will have a night to remember watching a superbly polished performance by dancers, singers and musicians in a beautiful Buenos Aires venue. Experience the emotion, grace and glamour of this famous musical genre on an unforgettable night out in Buenos Aires. A great meal with an inspiring performance will bring you closer to the unique Buenos Aires way of life. This is the perfect end to an unforgettable Argentinian odyssey. 5 nights accommodation in Hotel Villaggio (a modern boutique hotel close to the central Plaza Independencia and many of Mendoza's restaurants and bars). Food and drinks in Confluencia, 2 nights campsite accommodation; including Geodesic Domes with real beds, carpeted floors, heating system, hot shower, and a toilet seat bathroom. Our camps also have solar energy system, radio communications, and our meals are prepared following strict standards of hygiene and contain high nutritional value. They assure the right amount of carbohydrate and protein, everything the body needs to perform at high altitude, yet are easy to digest. We also cater for vegetarians upon request.